This kind of a post is always a challenge, so it was on my screen for the few weeks till it was finished and published. The longest post of the year indeed. Every year brings new experiences, discoveries and adventures. 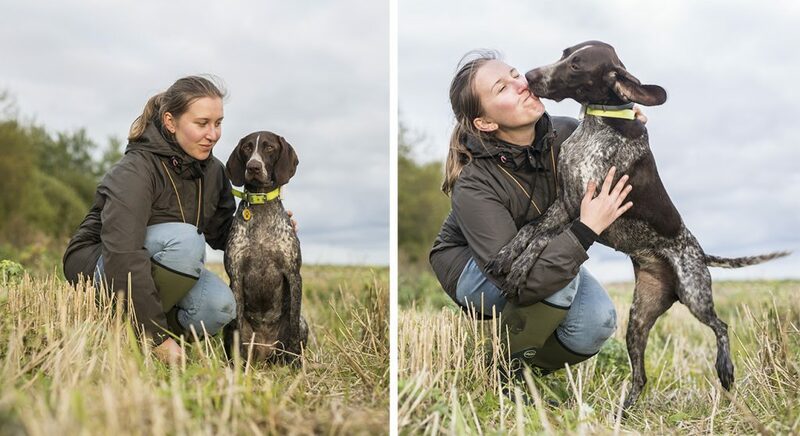 2016 was a great and very active year for our dogs. Ok, lets start from somewhere..
Year 2016 begun with a very successful shows for us in Lithuania and Estonia. 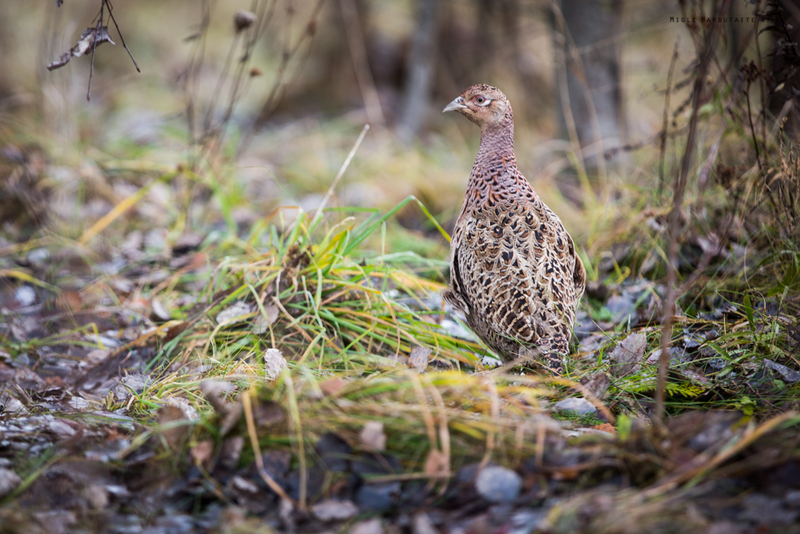 The whole year, especially Spring and Autumn was very busy for field trainings. 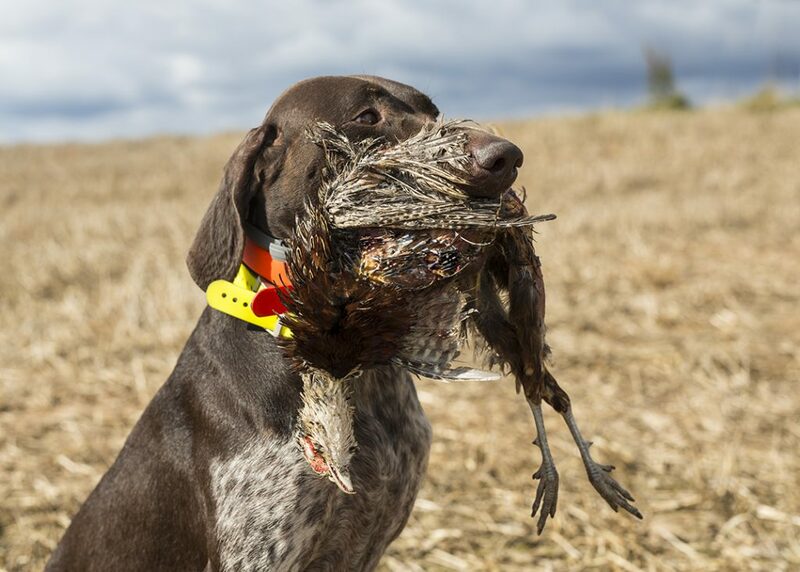 Also our dogs went for hunting a lot. It’s great to see how dogs are getting more and more intelligent by age. 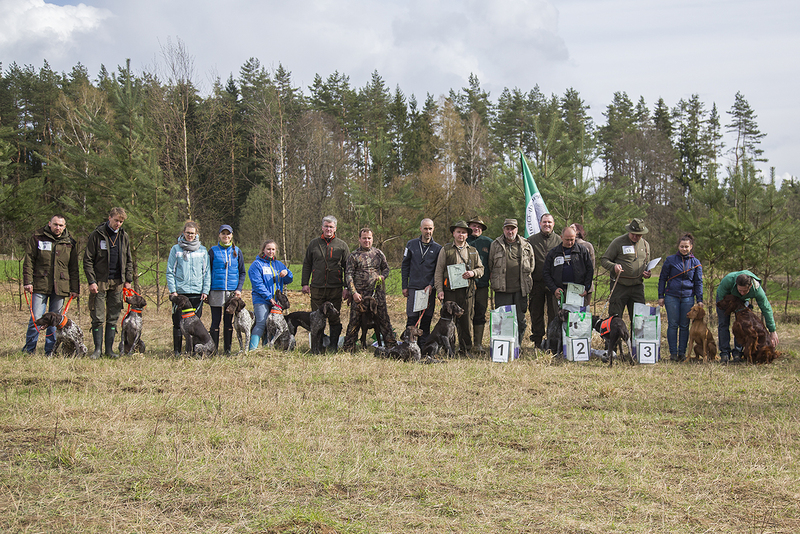 5 dogs got their first or already second working diplomas at VJP test. 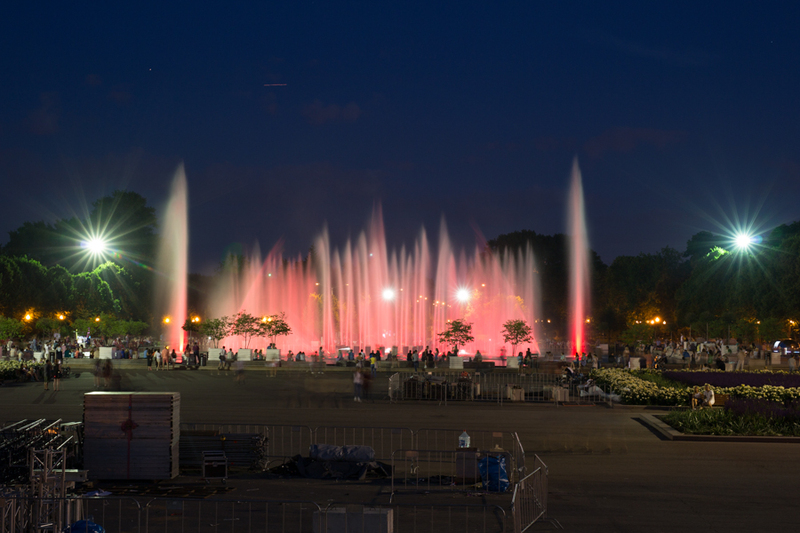 We went to Moscow for WDS and came back with 2 class winners, World Junior Winner’16, CAC, 2 x new Russian Champions, res. CAC and interesting experience. 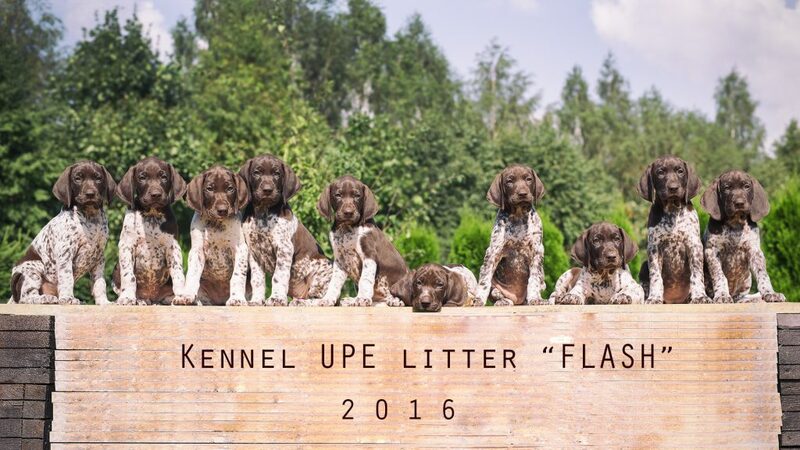 We had a fantastic litter “FLASH” of marvelous 10 puppies (Havana & Magas) that are living in 4 countries with wonderful families. 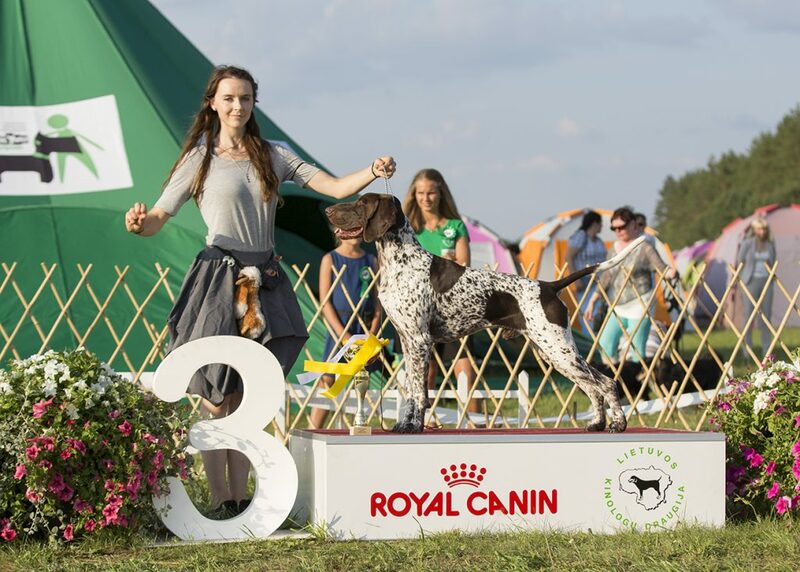 Our dogs went for BOB, BIG, BIS, JBIS and R. BIS at 2 Speciality Shows in Latvia and Lithuania, 6 dogs closed their BALTIC CHAMPIONSHIPS! (Junior or Adult). 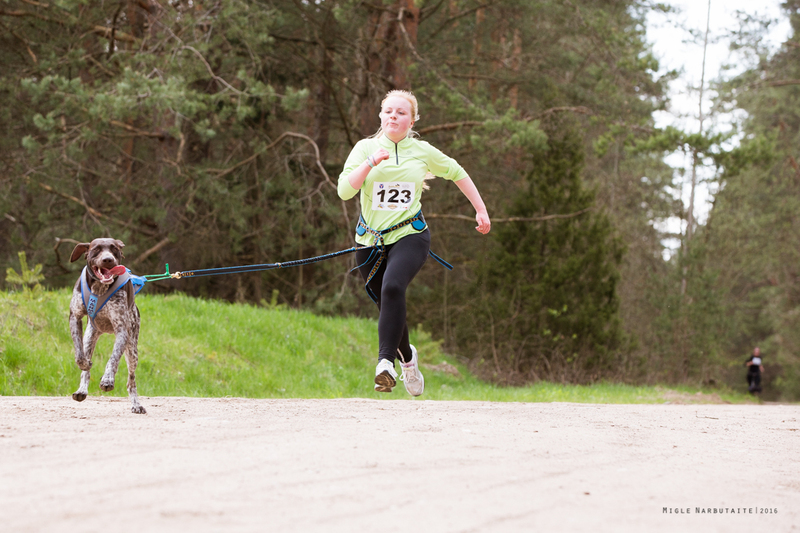 Our dogs participated at Sled Dog races with a very good results (gold, silver..). 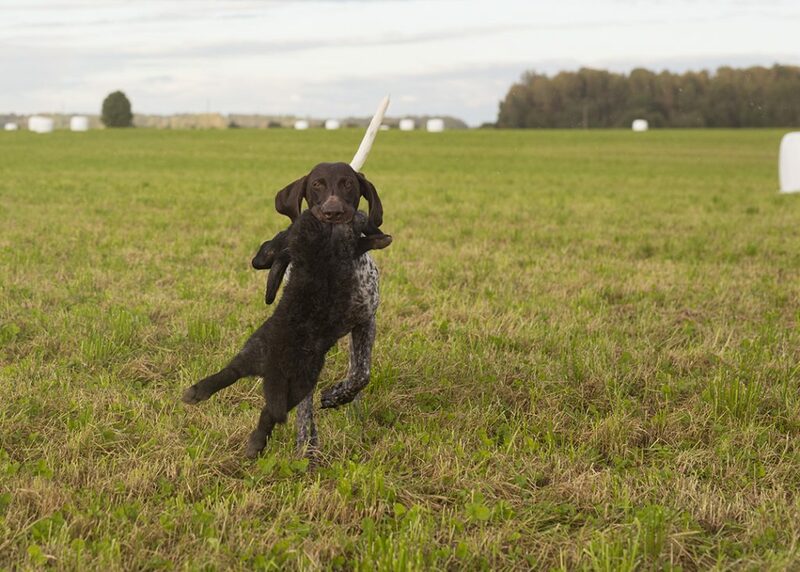 Also we had a crazy experience living in a hunting area for 5 days training our dogs for CACIT exam. 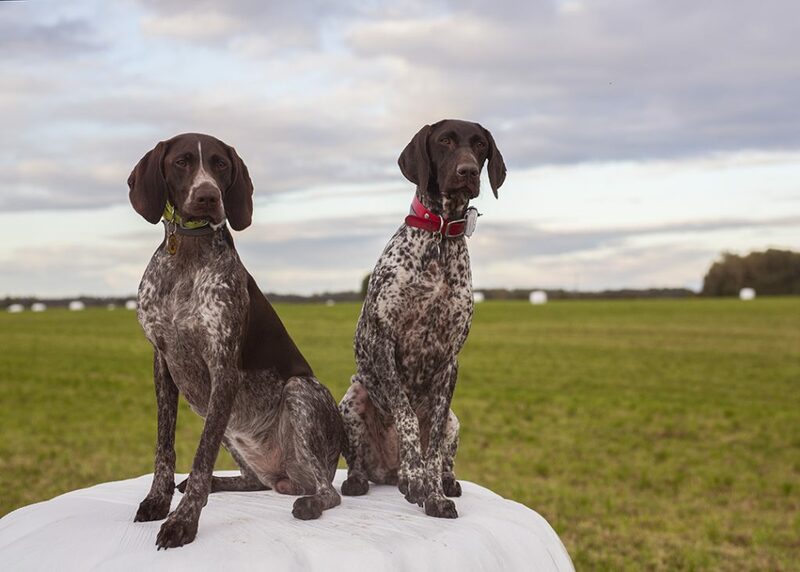 We went to Helsinki for famous Helsinki and Finish Winner shows and came back with two new FIN CH. 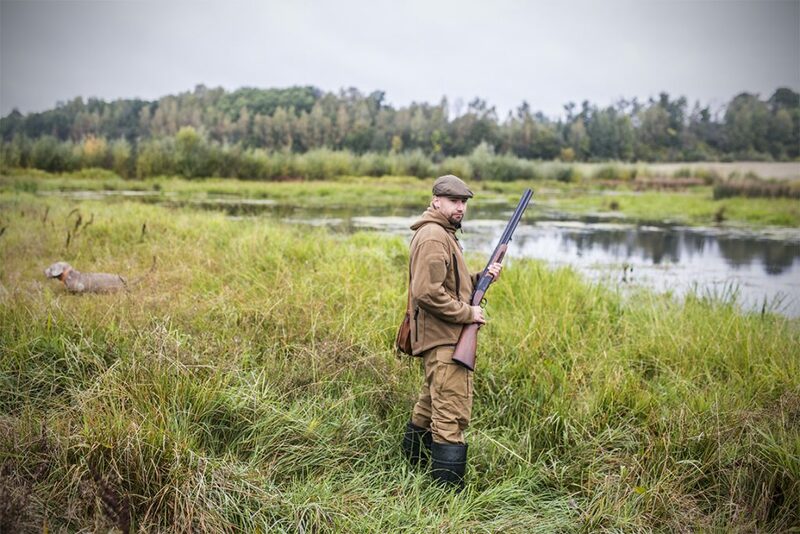 We’ve been presented in press in LT and LV magazine “HUNT”. Summer show season we ended up with a great trip to Estonia with my dear friend Viktorija. Invi went for 2 x CACIB, BOB, res. BIG and BIG from 13 dogs in a group. Magas was selected by 3 judges to participate at the Champion of Champions show (that I will make a separate post about it) and we also had many more smaller successful shows..
During active trainings and walks in the fields we experienced one horrible adventure. Luckily a happy-end one. Dogs run after the rabbit and only Eza was not back… A group of true friends were searching her for about 5 hours with no result. 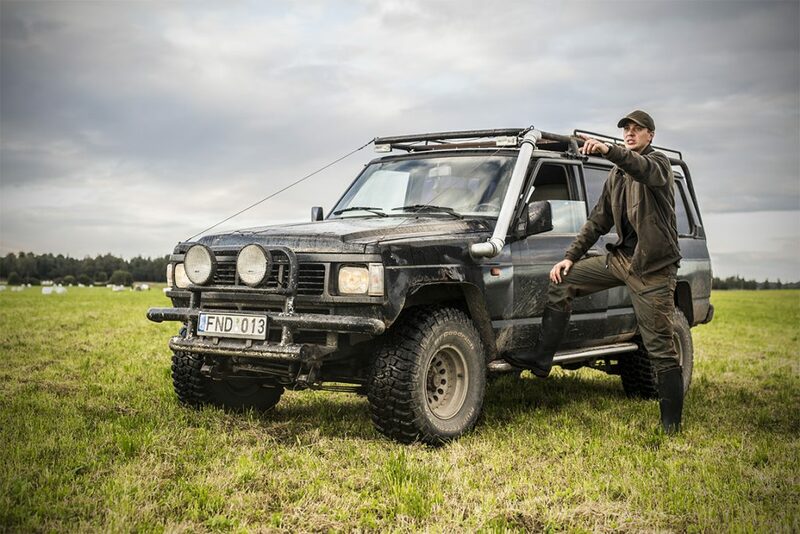 We are also very pleased to Gediminas Dainys and Jolanta Bagdonaite for coming late at night with fireworks which I believe, helped for Eza to orientate in the forest and find the way to the car. Was difficult to believe but Eza was back to the car when the sun raised up! She is very interesting temperament female with very special intelligence. 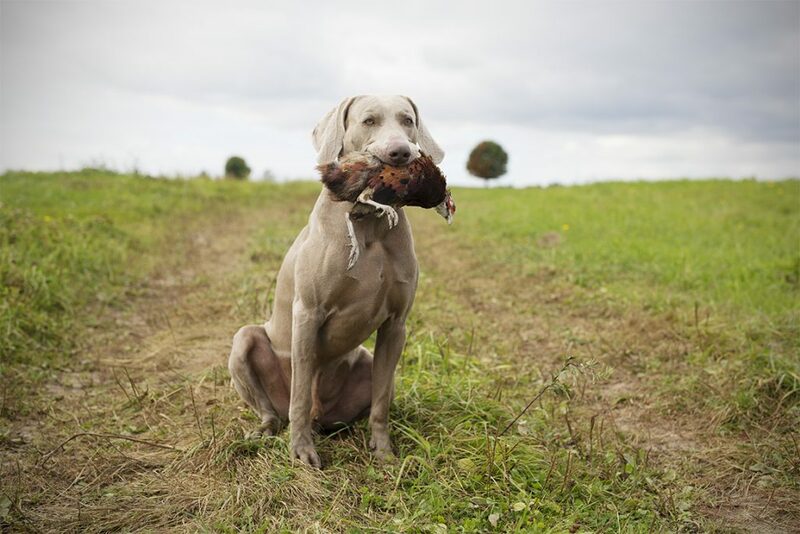 This dog always finds a very own and creative solutions to achieve the goal. 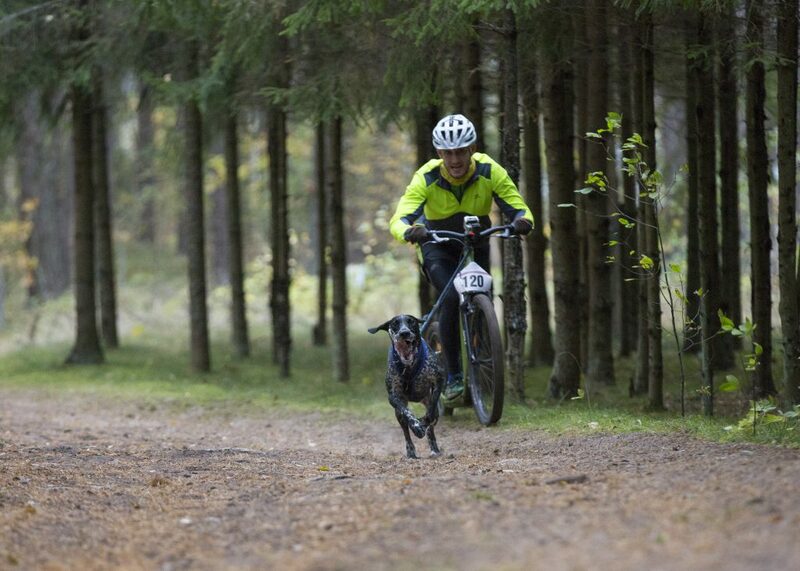 After this adventure all our TEAM’s dogs are wearing GPS now. We’re all very happy and pleased, especially Viktorija, that Eza is back healthy..
Ohhh my… EZA, don’t ever do it again! 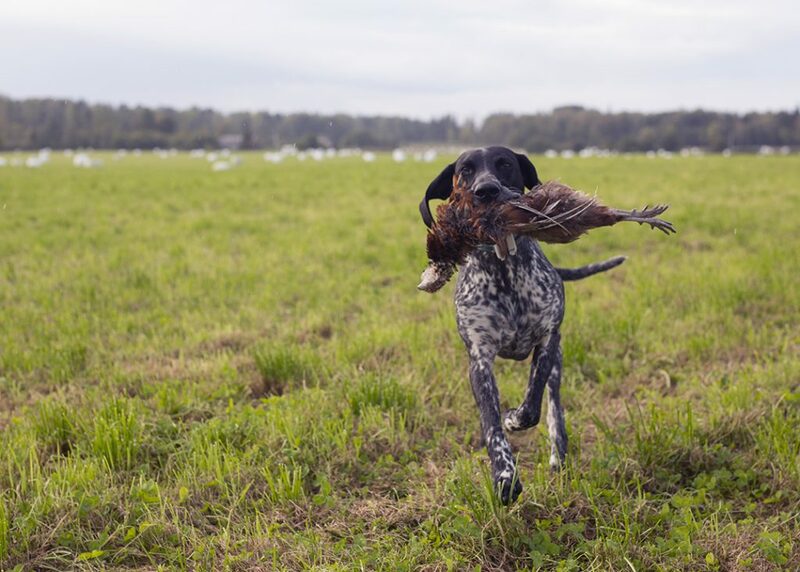 Before turning to closer look of events it is important to mention the main reason leading kennel’s existence. No doubt it is THE TEAM. When I say “team”, I have a real friends in my mind – who care. We meet during the week, make a long walks, we go to the forest for hikes, we have cup of tea in the evenings and we travel together. When you care, you go for the best. That’s what we go for with new plans, puppies and our every day life. 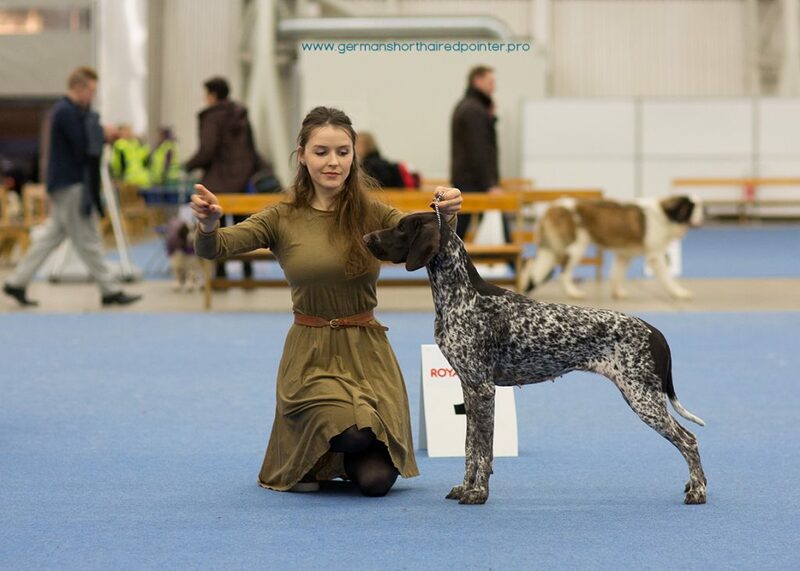 During the winter we had few successful shows. End of January 2 x IDS with results up to Best in Show IV. First day BOB, BIG and BIS IV by Magas. And the second day BOB by Invi (Callidus Invictum UPE) with res. BIG! 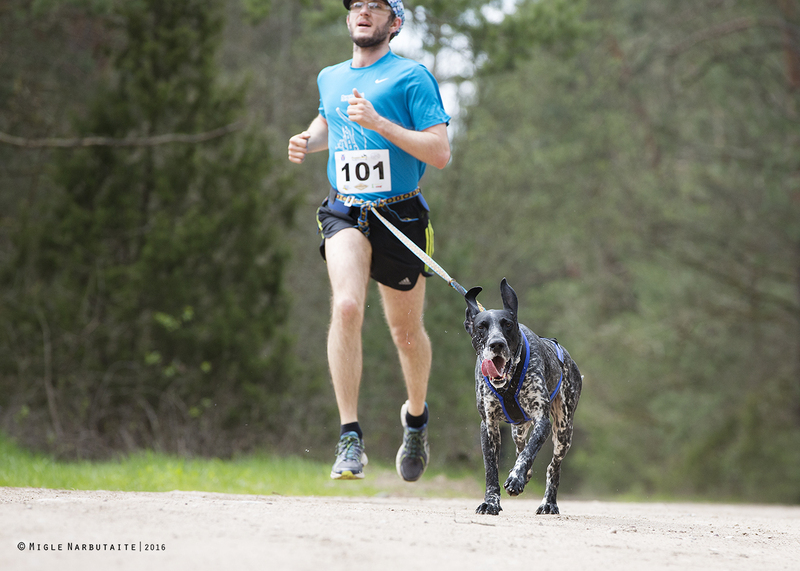 Spring as usually starts with VJP test for the young dogs. It’s a big event for us that have to prepare for. VJP Test | 2016 April | Gang of 5 with working diplomas! 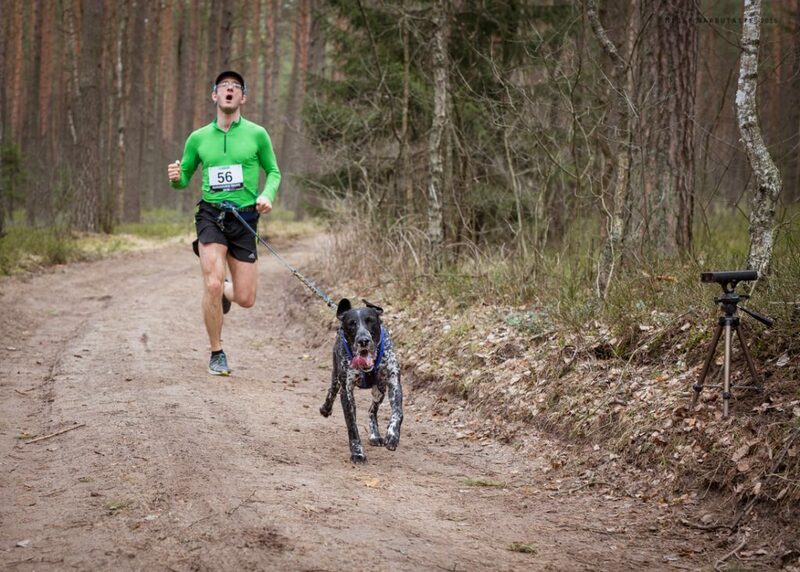 April begun with Sled Dog sport event “Burunduko CUP”. Ugnius and Baltia Utu UPE were second at DCM category and Bogdan with Invi were third! In may we had 2 x CACIB shows + Bird Hunting Speciality with Magas winning Club Winner’16, BOB and res. BIS and Eza Junior Club Winner’16! 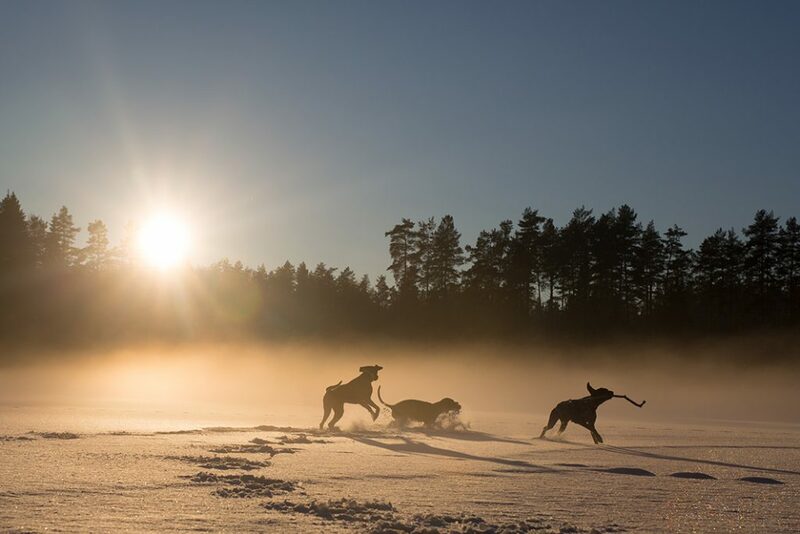 Another important races – Sled Dog BALTIC CUP’16 Jadagoniai. Bogdan and Invi went for silver and Ugnius with Utu for gold at DCM category! Vilte made her great debut with Hugo! Bogdan and Invi runs for Silver! Vilte and Hugo – go go go! June was incredible for us as 10 marvelous puppies were born 11th of June! Havana and Magas brought us 7 amazing females and 3 super males. Very even litter. 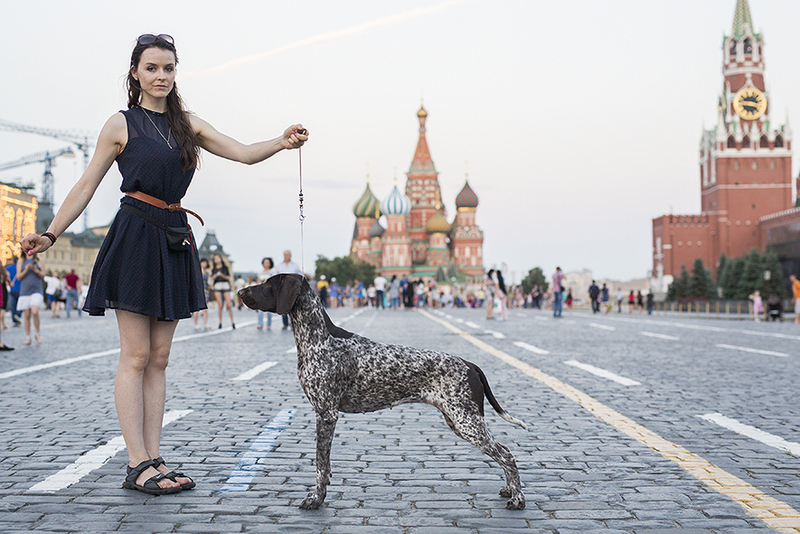 Another amazing experience in June – we left to a very adventure trip – Moscow. All the way up for 1000 km and 10 hours staying just at Russian border because of bureaucracy.. Trip to never forget.. So we were back with big smiles, very interesting experience, amazing sightseeing of the mega Moscow city and WORLD JUNIOR WINNER’16 – LARA. 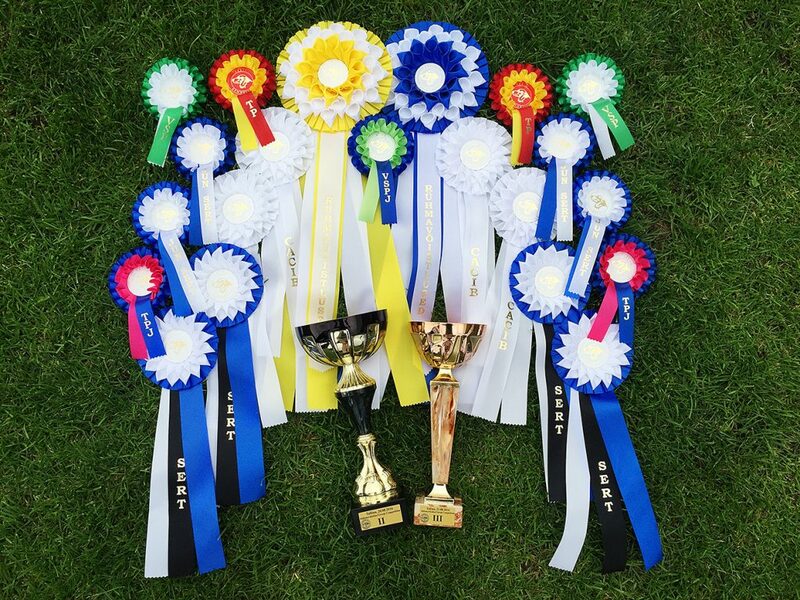 In July we kicked up high with Double BEST IN SHOW! Me and Viktorija went to amazing trip to beautiful Adazi in Latvia. 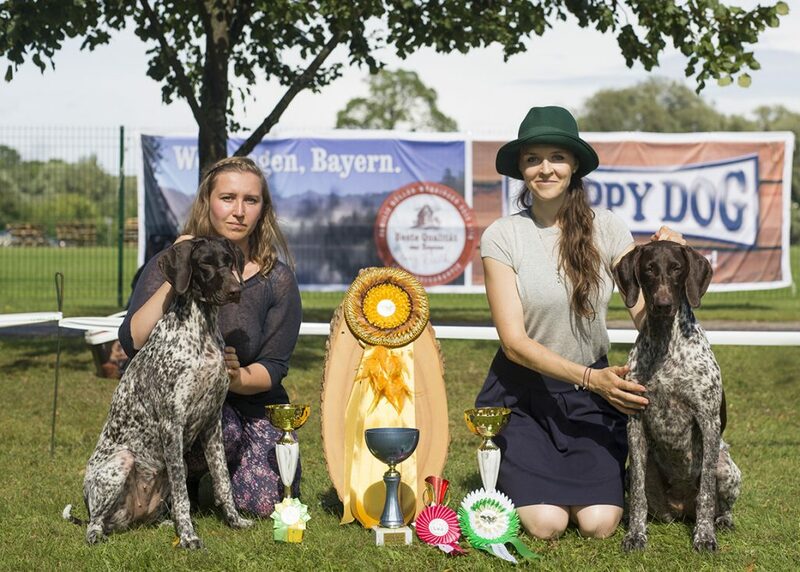 3 our dogs were participating at International Dog Show and Hunting Speciality with totally amazing results. 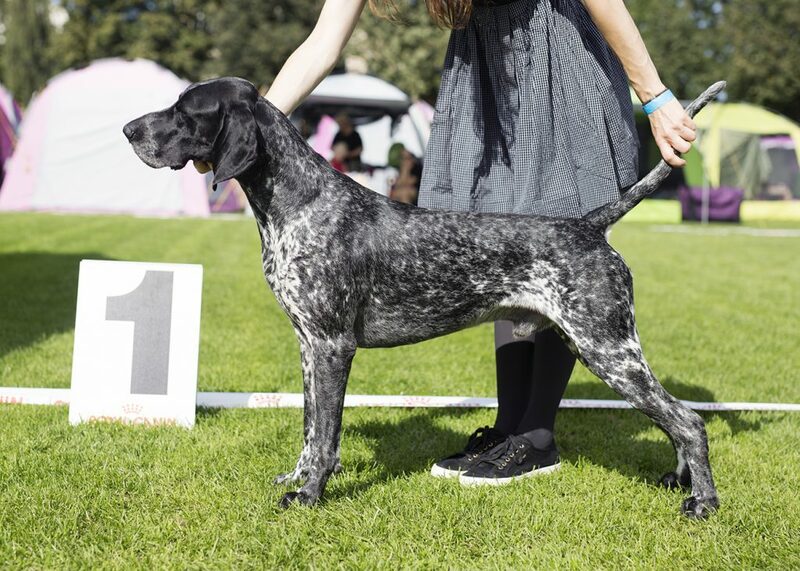 > Sabi (Halston Cinnamon) – CAC, Club Winner, BOB, BEST IN GROUP and BEST IN SHOW! We just took it all! 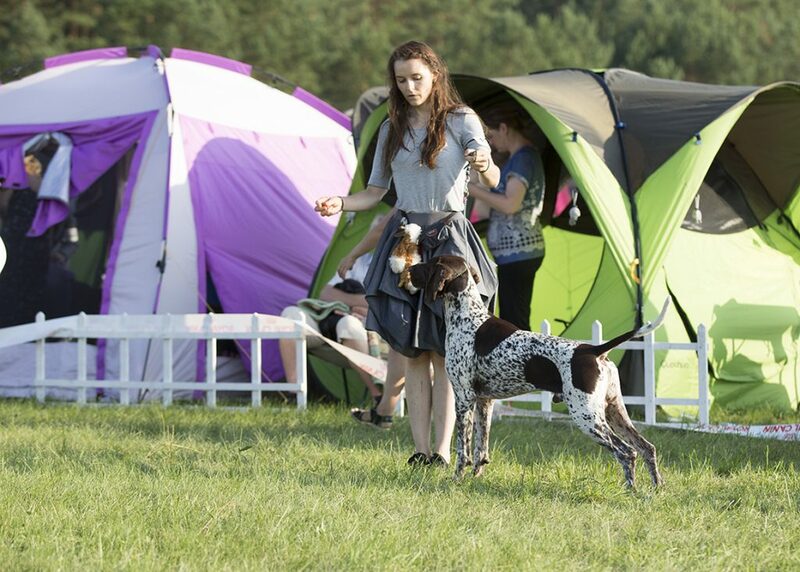 Beginning of August was dam hot in 3 x CACIB with CRUFTS qualification in Druskininkai. 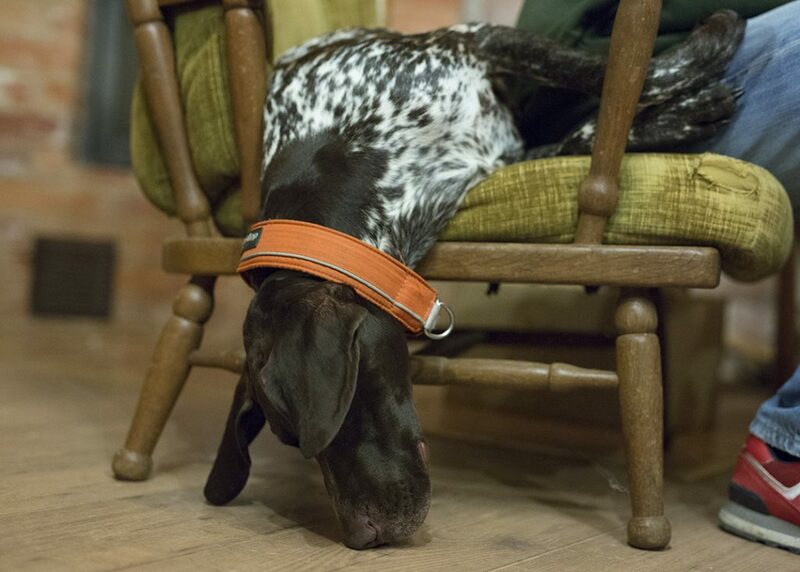 Our dogs did great with BOB and BOS all 3 days. 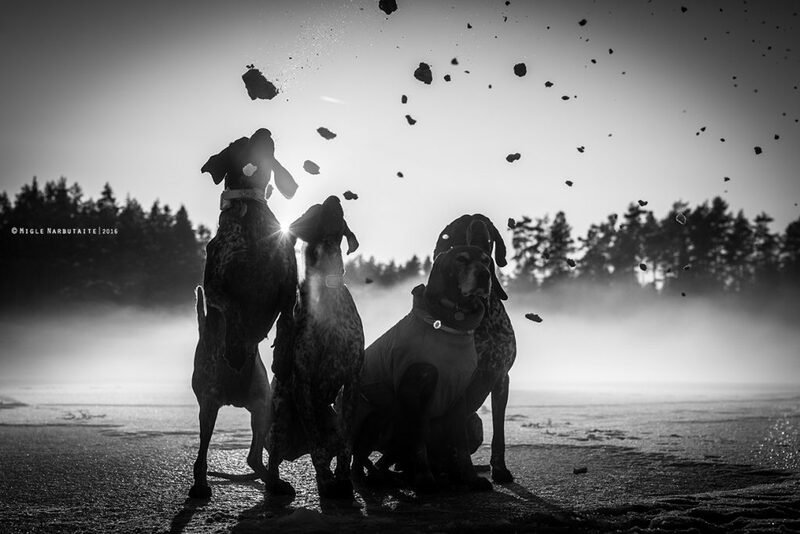 4 dogs closed their Lithuanian Championship at a very young age: Eza, Hugo, Sabi and Magas. End of August was lots of fun for me and Viktorija. It was a summer shows season closing. 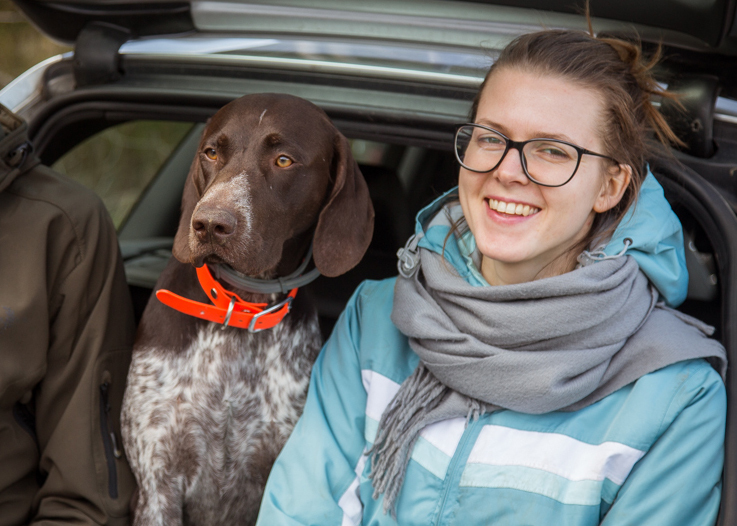 We’ve travel all the way up to Tallinn for 2 x IDS with 4 adult dogs and also we had 3 puppies with us to meet their forever owners from Latvia, Estonia and Finland. Imagine? 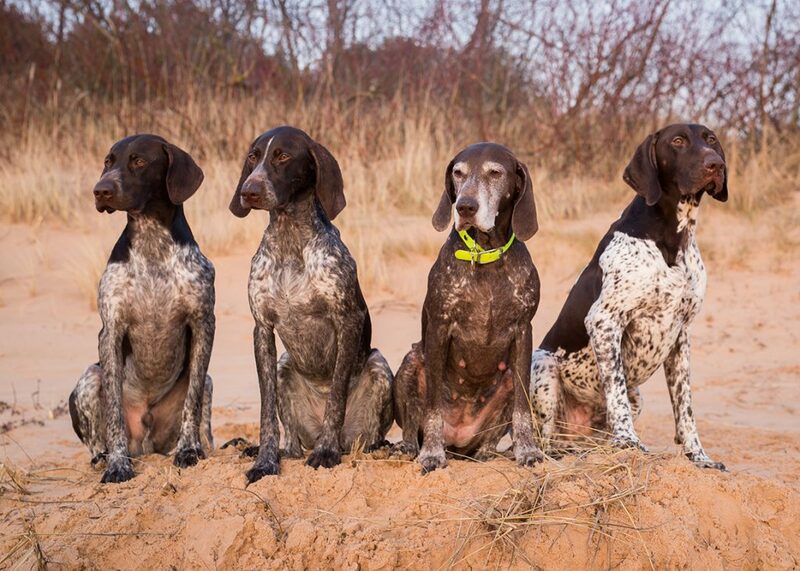 2 girls and 7 dogs, 3 of them – puppies… This is something to remember for sure. 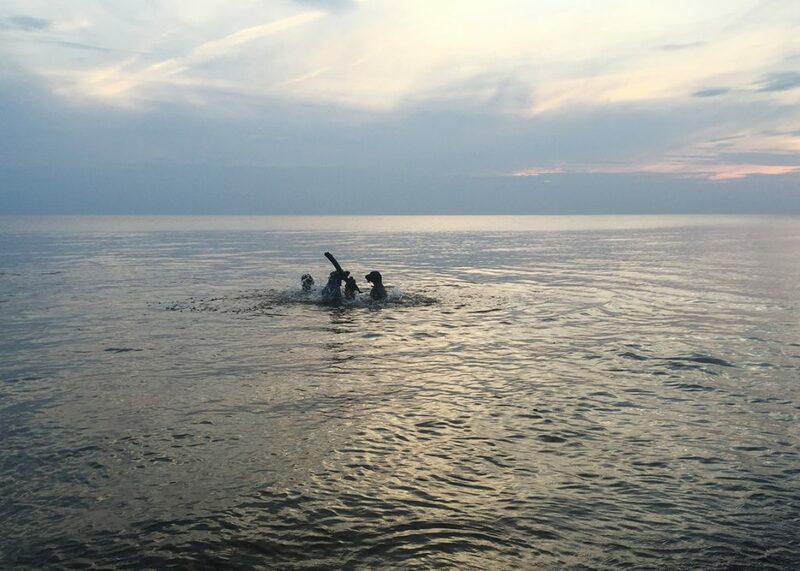 We even manage to go to the sea with all 7 dogs and enjoy wonderful weather at the beach with wide shut eyes counting & counting up to 7 again and agin.. In Estonia we took it all again. Invi went for CACIB, BOB both days and also res. BIG and BIG 3 in a full VII FCI Group with 13 dogs in it. Sabi – both days CACIB, BOS on VII. Lara Best Junior both days, BOS on VI, Ori Junior Winner both days. Autumn was full of trainings, preparations, exams, hours and hours spent in the fields with Viktorija, Audrius, Vilius and Mindaugas. 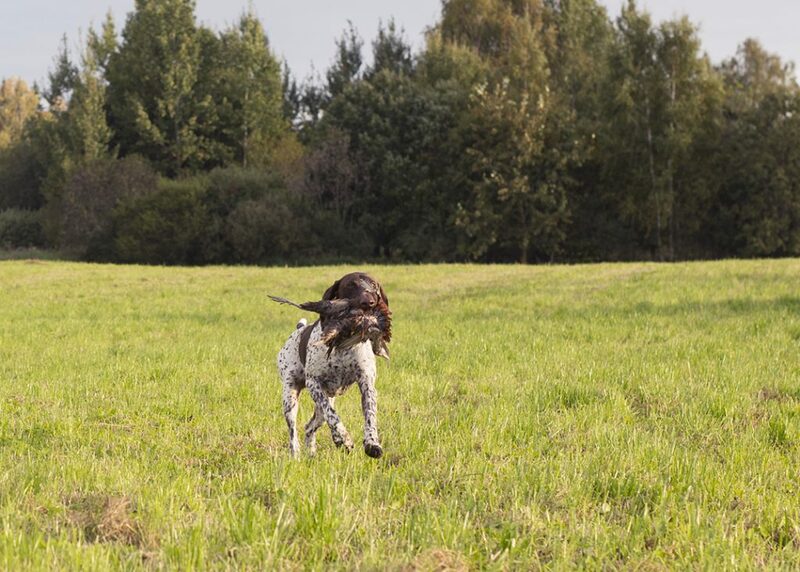 Our dogs were working during hunts, at the constant trainings and taking exams. 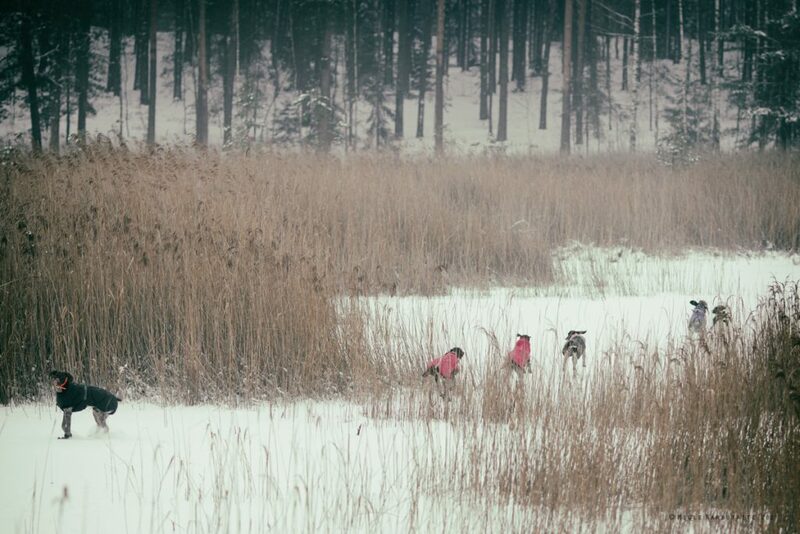 Before the last big event – Sled Dog Baltic CUP races in Latvia. Chill weather, great organization, strong competitors and wonderful dogs. Bogdan and Invi had their debut in Scooter class! And they got SILVER! Finished the race of 5 km being second both days. This team is something special. Connection, speed and results! 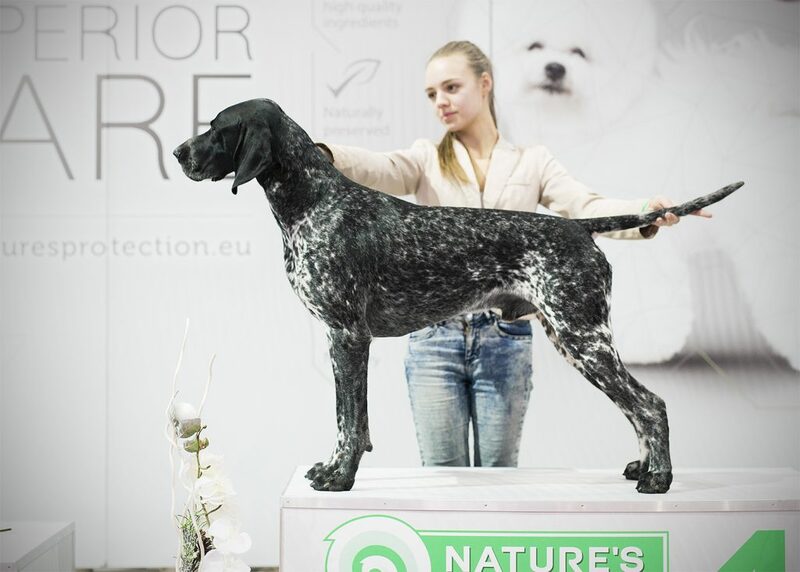 The last big event for us in 2016 Show World was famous and memorable 2 x CACIB in Finland: Helsinki Winner and Finish Winner. 30 GSPs were entered. Our Lara was first in Junior class from 4 lovely females winning Helsinki Junior Winner’16 title and ended up as Best Female 3 out of 19 females! Magas was first in Champion class (out of 3), CAC and R. CACIB out of 11 males, new Finish Champion! 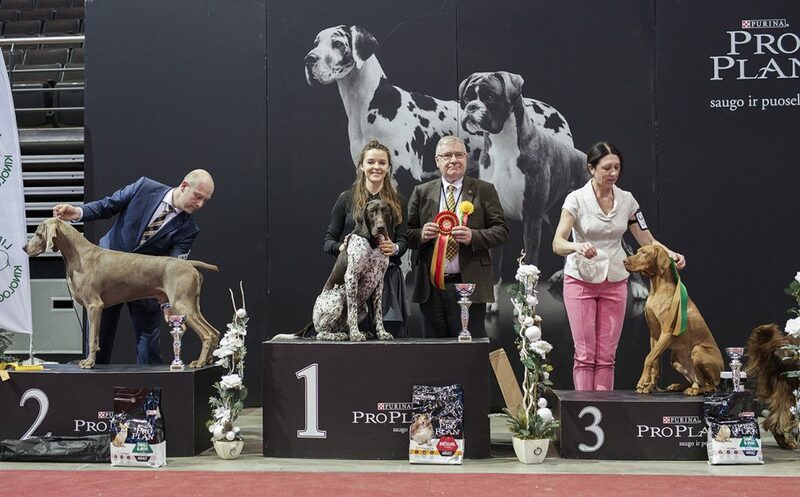 Most important that GSPs were judged under the breed specialist, respectable Zlatko Jojkic (Serbia). Our dogs got great descriptions and I was fascinated by the professional judging with load argumentation to the public. Thank you, Mindaugas & Blikai for taking us together to this unforgettable journey! The travel with you guys, is a real fun indeed. 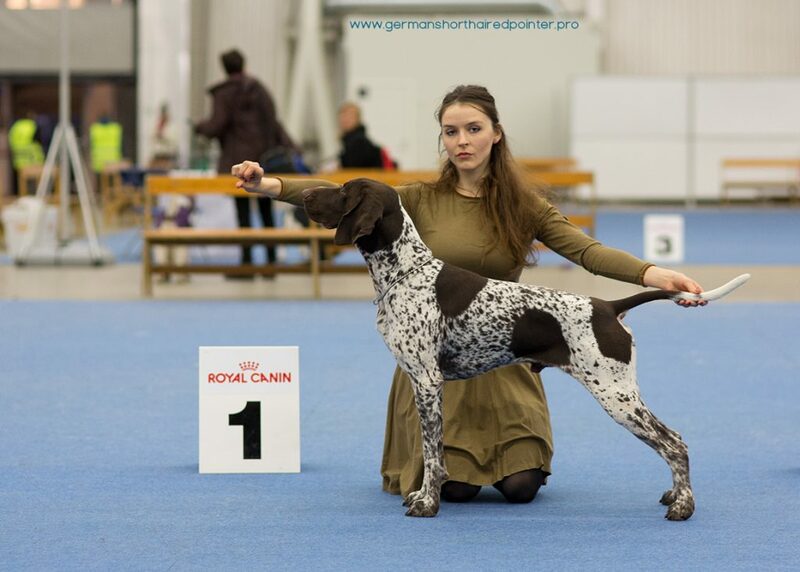 Magas – First in Champion class (3), CAC and R. CACIB out of 11 males, new FIN CH! We have so many more exiting plans and we will go for them. Not me alone, but we – THE TEAM. My review has ended. The text is too dry but tried to make it as short as possible as it is the longest post in a year. I could not refuse sharing this moment. Very old-school & very cool. Our TEAM wouldn’t be the TEAM without this man – Audrius. Well, this pictures says a lot.. Thank you, my friend, for doing so much for each of us. Let’s begin the new adventures of 2017! Egidija & Simona!!! You girls, do everything to give the freedom for your dogs and trust me 100%. I am thankful to you both for all the efforts you have to take and you do it. It means a lot to me. Ausra, Zilvinai, Karolina and Havana. Your family is beautifully harmonic and you are open heart people. So nice that I met you and 2 wonderful litters were born at your house. Thank you to Rasa & Nida, Dovile & Igi and all our friends for support no matter where we are or what we do. Nice to feel you. I am also happy that Vilte is joining us. As more hearty people, as stronger charisma! 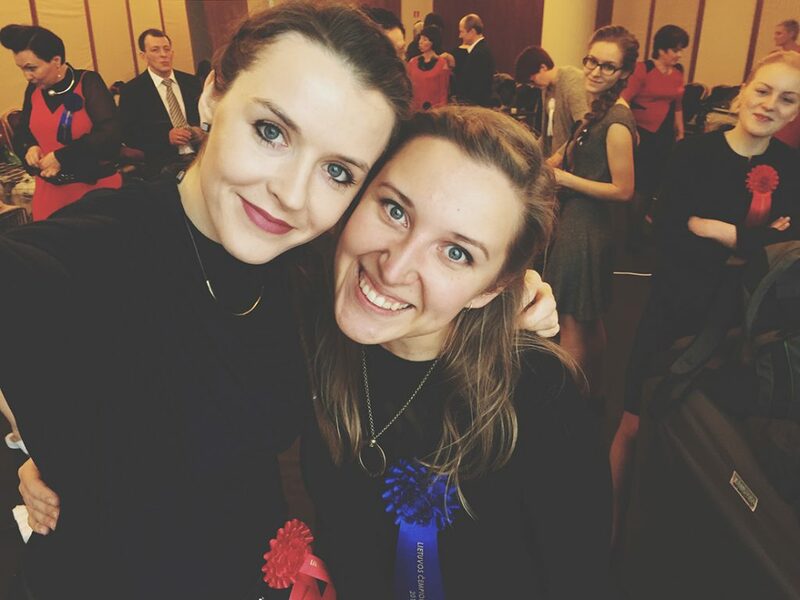 And my “little sis” Viktorija [: I could write and write about our unique friendship, long nights when you can’t stop talking even though we talk every day, tears and laughter, unbelievable travels when everything is possible and so much more. I wait what 2017 will bring to us. Love you, OŽKA. 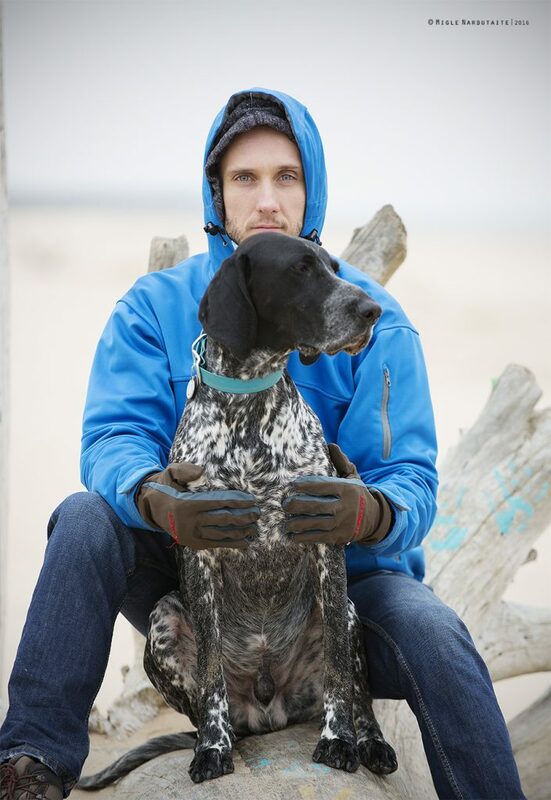 Dogs are part of our life. They are the best psychologists and trainers. Also they bring new people to our lives and unforgettable moments. 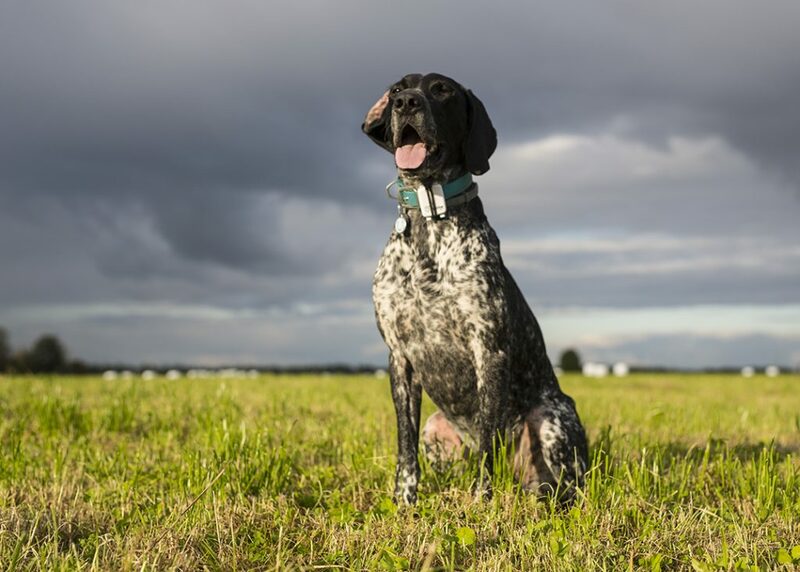 That’s why the last THANKS go to all our team’s DOGS – the Shorthairs! You are certainly the best on Earth! I wish a very successful and very interesting year with lots of smiles on the faces!